The Patented RJ45-ECS connector system exclusively from Pacific Wireless is a field replaceable outdoor rated and shielded Ethernet connection system for high speed 10BaseT, 100BaseT and 1000BaseT networks. 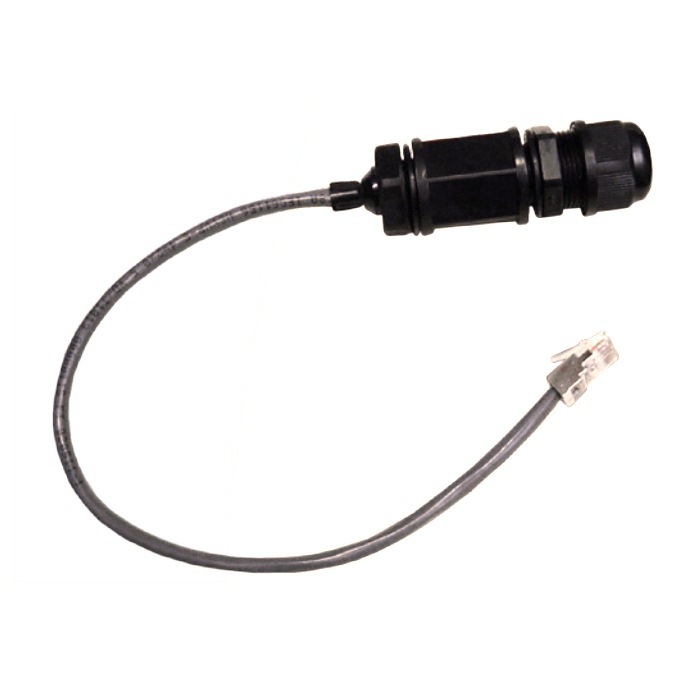 The system features a shielded RJ45 Receptacle mounted in a UV protected housing and a mating cable gland which passes an RJ45 connector and seals the cable to IP67 requirements. The system provides for quick and easy disconnect and reconnect of equipment. Because of its many unique design features and low cost, the RJ45-ECS is a universal solution for many industries where a sealed and waterproof, yet removable, Ethernet connection is required. These include outdoor applications such as wireless equipment or video surveillance equipment and indoor applications such as equipment used in factory automation or harsh industrial processes.